Can you believe summer is right around the corner? It’s time to start planning for a summer filled with awesome boredom busters. This year I’m sharing my favorite STEM summer activities in partnership with iDTech. All thoughts and opinions are my own. It seems to be all around us these days, and many public, private, and charter schools are starting to infuse the concepts of STEM (science, technology, engineering, and math) into curriculum. My son’s school created a STEM lab this year. A dedicated maker space for creating and experimenting. 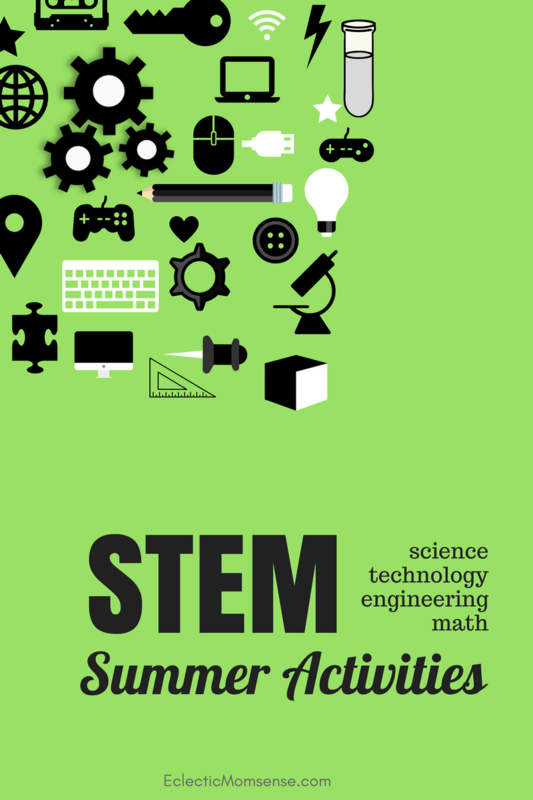 STEM concepts allow children to develop a range of skills important to all facets of life from critical thinking to logic and problem solving skills. The foundations important for students to be successful in school and careers beyond science. Giving them a safe place to experiment, to try, and to fail is just a stepping stone to greater learning. Failure breeds success after all! There are a variety of pre-fab kits designed to guide kids through STEM concepts. There’s everything from analog kits to completely immersive high-tech sets. Here are just of the few we’ve tested and love. Snap Circuits– These sets give hands on experience building electrical circuits. There are 100’s of tutorials, but the sets are meant to build the knowledge and critical thinking skills so kids can build their own electrical models. Contraptions– These use the concepts of a Rube Goldberg machine. 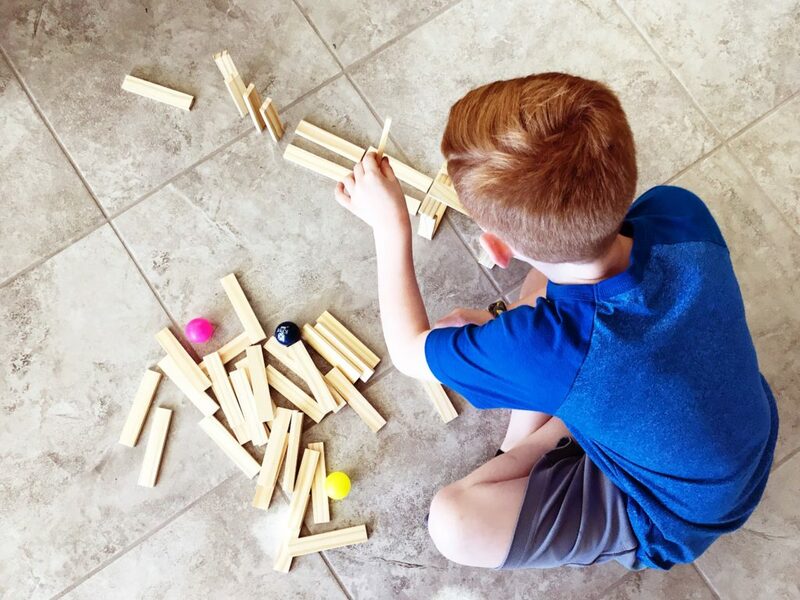 A series of wood blanks and ping-pong balls you can use to create contraptions and explore the concepts of engineering. Little Bits– An electronic building blocks set that teaches the concepts of coding. These sets come in a multitude of applications allowing you to create stories, animations, and music. LEGOS- Yes LEGOS, these are amazing tools for teaching mathematical concepts, building machines, and even coding robots now. One of our favorite finds is the LEGO Chain Reactions book. It’s the next step up from Contraptions and completely compatible with other LEGO sets for expanding the different builds available. What’s amazing is many of the kits discussed above are incorporated into the curriculum at iDTech, which means once the week of camp is over the learning and exploration can continue at home. idTech summer camps are available at Arizona State, Stanford, MIT, and 150+ other locations across the country. 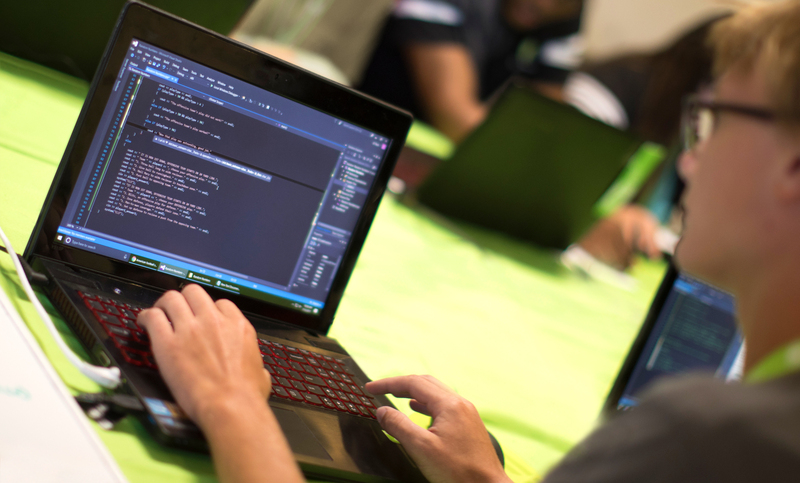 These tech camps are designed for students 7-18 center around computer technology education. The curriculum focuses on coding, design, and engineering. Many alumni go onto lead successful careers in tech, and it all begins with top notch staff. iDTech recruits instructors from universities like Caltech, RIT, MIT, and Stanford to lead students through a specialized curriculum over the course of a week. There are over 50 different class offerings divided into 4 distinct pathways: coding, design, robotics, and game development. With an average of just 8 students per instructor, your child will experience the perfect blend of one-on-one attention and self-led discovery. It’s our recipe for long-term student success. And that’s where iDTech sets itself apart from the pack as a first of it’s kind concept, the iDTech Pathway™. 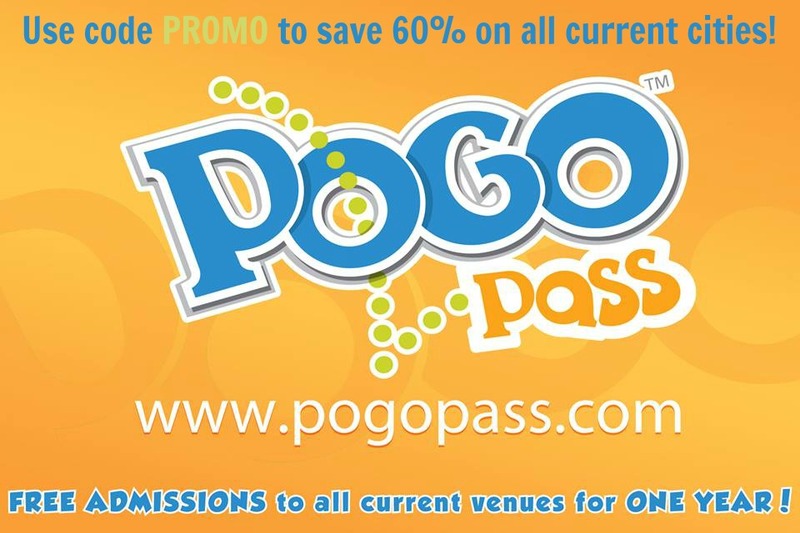 This is their long-term skill development system designed to advance your child’s love and mastery of technology. And don’t worry kids, mom, and dad. 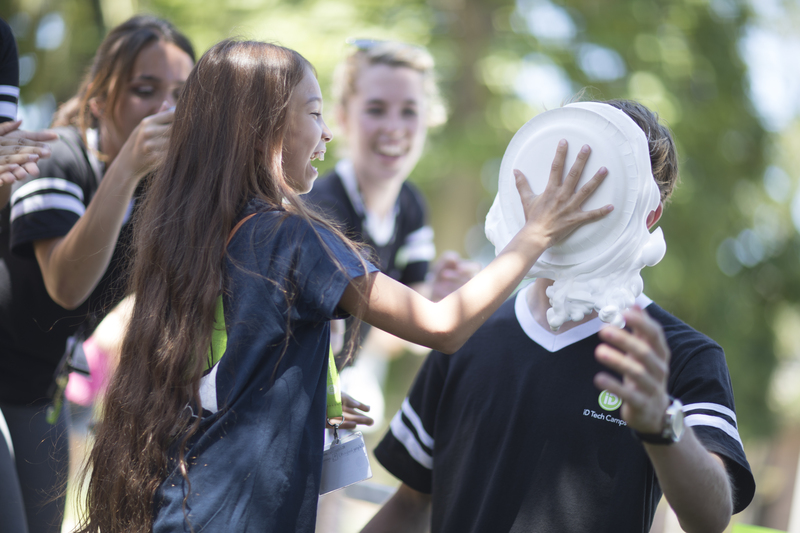 Alongside all this amazing interactive learning their is a healthy does of fun through dress-up days, raffles, outdoor activities, gaming tournaments, and even pie-your-instructor Fridays. iDTech recognizes that fostering learning and a fun culture go hand in hand to build a lifelong passion for tech. 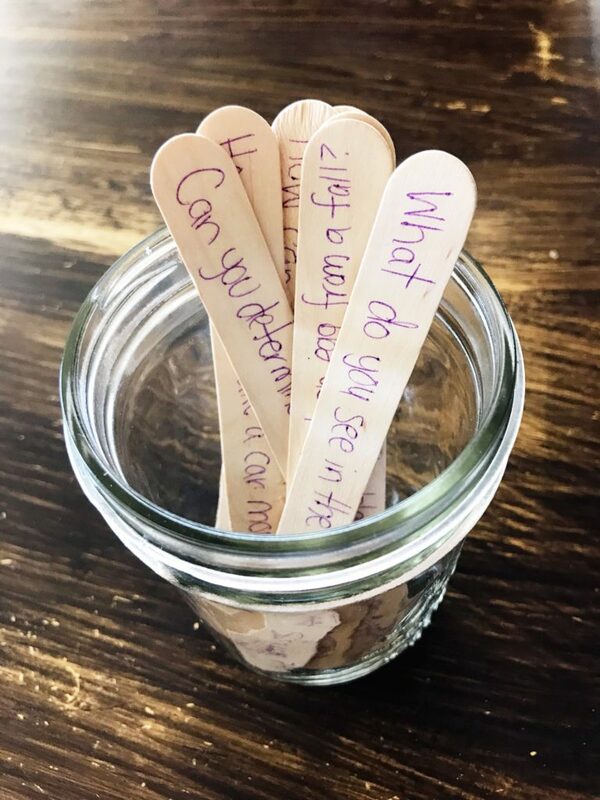 Continue the learning and summer camp at home with a discovery jar. Use the list below to pose different STEM centered challenges. Gather the supplies in paper bags labeled with each challenge. Then, grab wood craft sticks and write out these challenges. Each day or week let your child pick a challenge? I always like to pose them as questions, allowing them to work through a problem from question to solution. How can you protect an egg from a fall? Put together a specified group of supplies or let their imaginations run wild as they figure out how to protect their precious egg from breaking in a fall. From 5 ft, 10 ft, to the top of the bleachers. What type of materials provide a cushion or absorb the impact of the fall. Summer is the perfect time to go star gazing. Grab a head lamp, journal, a telescope if you’ve got it or just a comfy blanket for lying back will do. Use a red lamp in your flashlight or head lamp to eliminate any light pollution. Have the kids draw what they see in the sky. 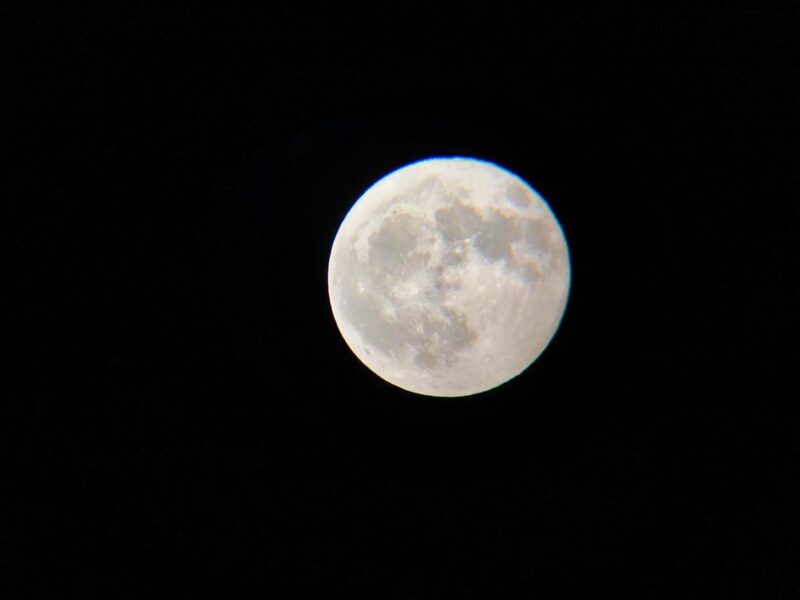 Our favorite telescope is reasonably priced, portable, and even has a cell phone accessory you can purchase to capture photos of beautiful celestial objects. They even have binoculars for looking at the night sky that make it easier for on the go stargazing. How can you cook with the sun? Build a Solar Oven and teach your kids about solar energy while you enjoy a tasty snack. Solar s’mores or pizza are a great place to start. Which of these objects will sink or float in water? Collect a variety of objects and let your kids guess it’s buoyancy. Ask them to think about why an object tended to sink or float. How can you make a car move with only these supplies? Provide your children with a balloon, and supplies to build a car and see if they can determine how to make it move. LEGOS are the easiest tool here for making their own cars, but young kids can apply the same concept to toy cars too. Can you separate this black marker into separate colors? It’s the age-old marker on a coffee filter test. It’s fun to do this with colors too, but with most non-permanent markers you can separate out the pigments using the same method. Draw a line across the filter, place the tip in the water and watch it spread. Expand on the experiment by having them test different markers. Can you determine what’s inside this box without looking? This is called the black box experiment. Create a series of ramps or channels inside a shoe box or small box. Place a marble inside and tape shut. Provide your children with a variety of tools: blank box, straws, cardboard, tape, a marble, and paper. Give them time to play with the box and work to build a map or design of the black box. Move onto creation, testing, and modification. Once they think they have solved the black box they can check to see if they were right. 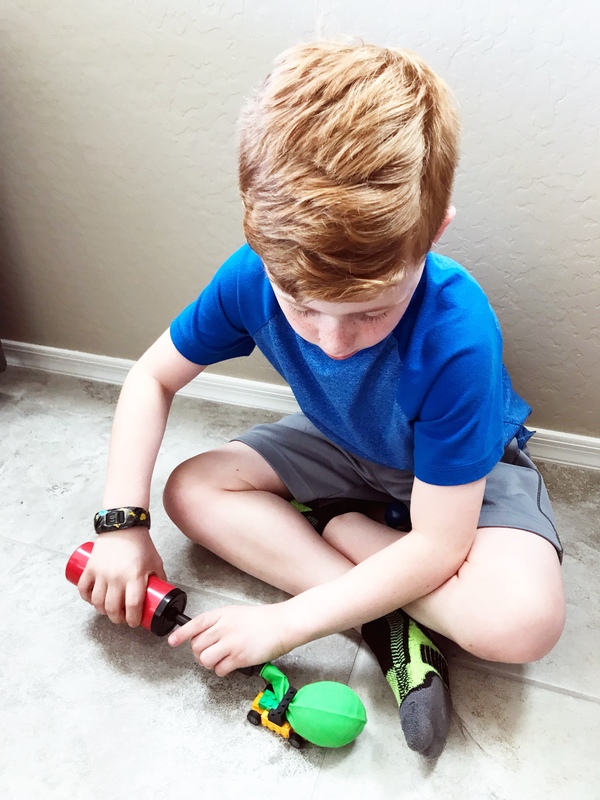 For other ideas for enriching summer activities checkout my ideas for Raising a Maker, Printable Boredom Busters, and our Summer Bucket List. These ideas are the building blocks for a summer of fun and learning. 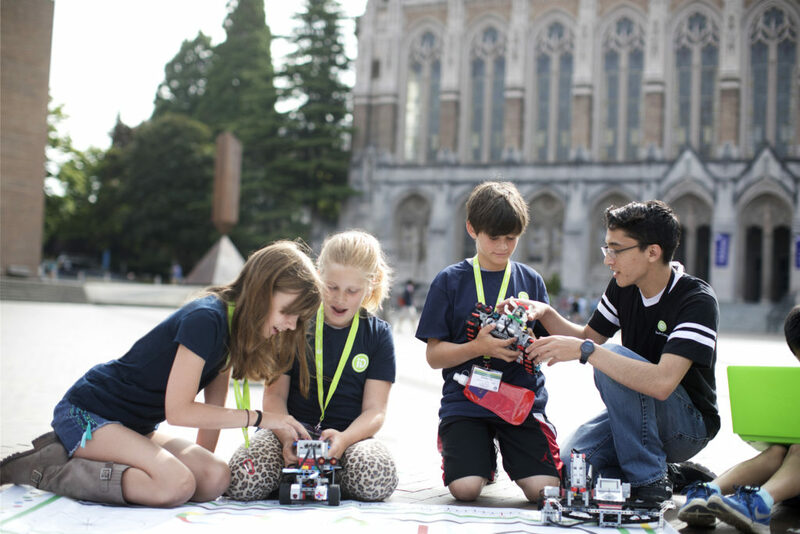 Use promo code: ECLECTICMOM18 to save $75 off camp tuition at iDTech. expires 5/31/18.